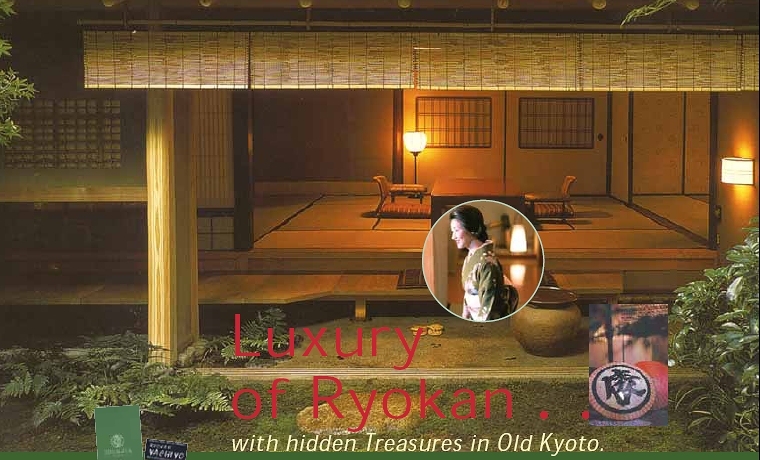 This 300 years old Tawaraya has attained the reputation of the world’s best hotel. 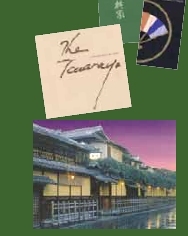 The nineteen-room Tawaraya is just step off the bustling streets of Kyoto into a Japanese wonderland of winding passageways, magically sliding doors, and private gardens. It attracts a stellar international cliente, from King Carl XVI Gustaf and Queen Silvia of Sweden to Saul Bellow, Barbara Streisand ..... You will be treated with no less distinction. Daily rate: from $1050. per person with full course Japanese dinner and breakfast. Daily Rate: from $800. per person with full course Japanese dinner and breakfast. Miyako is located in the natural surroundings of Higashiyama mountainous district of Kyoto, set in 16 acres of wooded hillside and Japanese gardens. Superb cuisine, and incomparable personal service await you at Miyako. Daily Rate: from $480. per person with full course Japanese dinner and breakfast. Yachiyo is located near Nanzenji Temple at the foot of the Higashiyama mountains. Enjoy the spectualar view of Mt. Higashiyama and the quiet Landscape Gardens of Yachiyo. Each guest room has its own private Japanese garden.